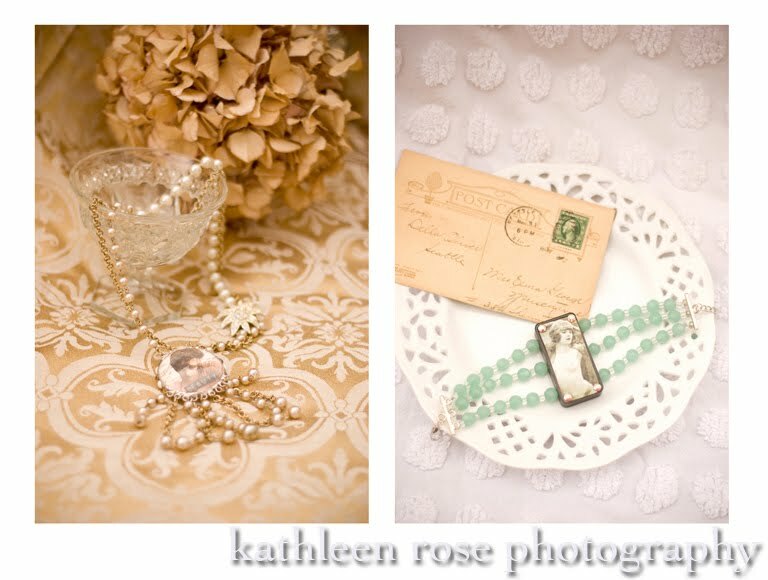 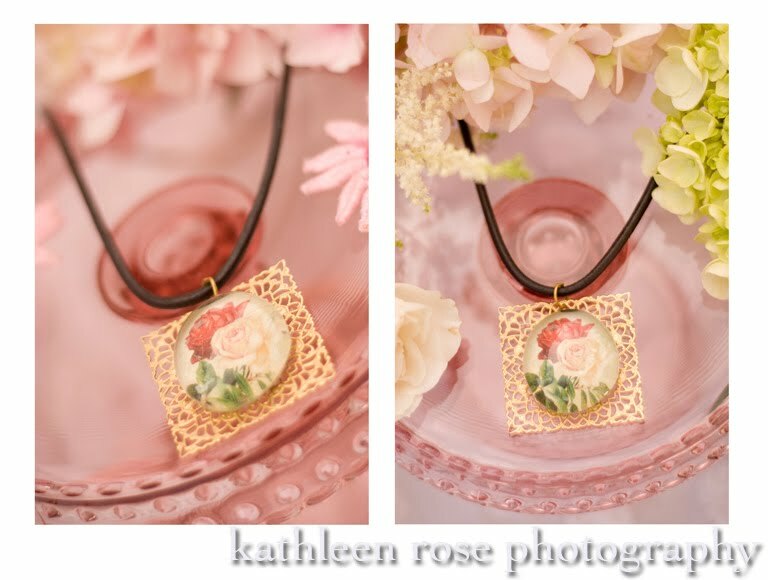 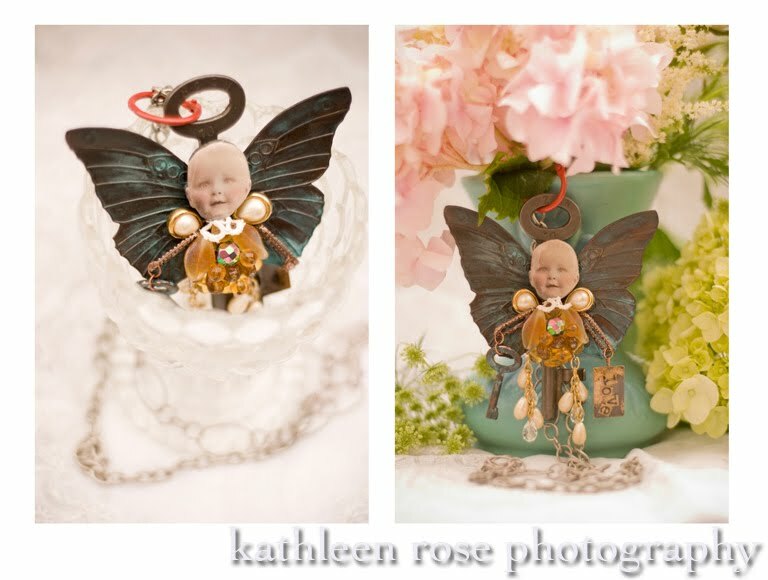 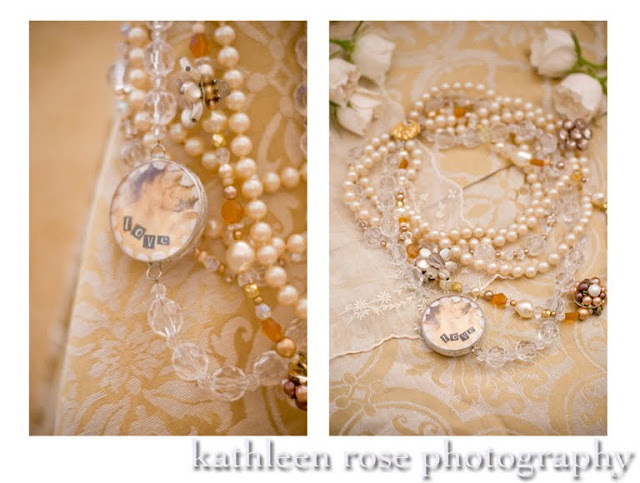 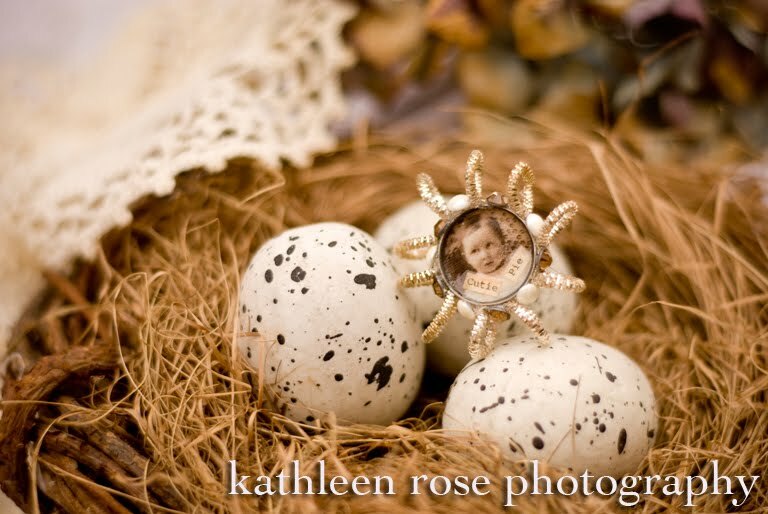 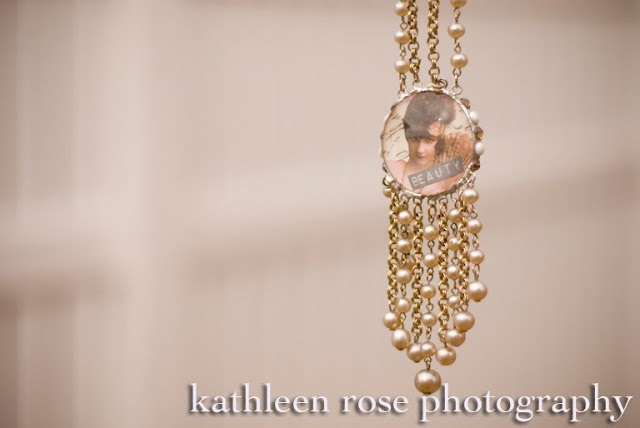 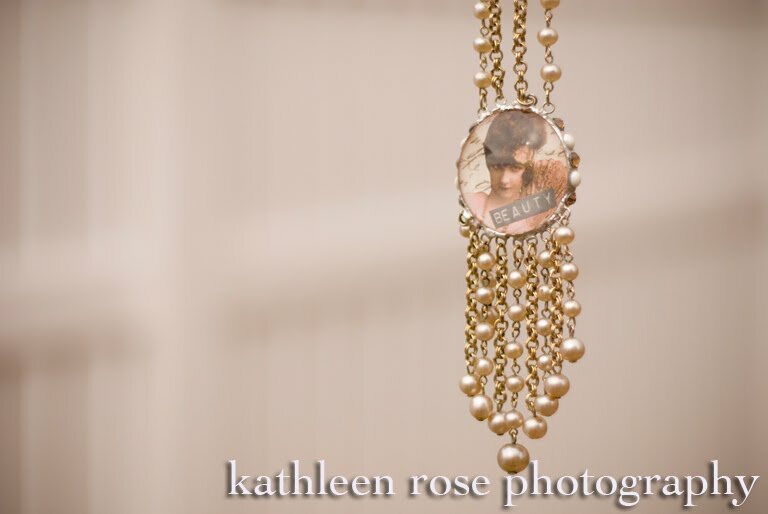 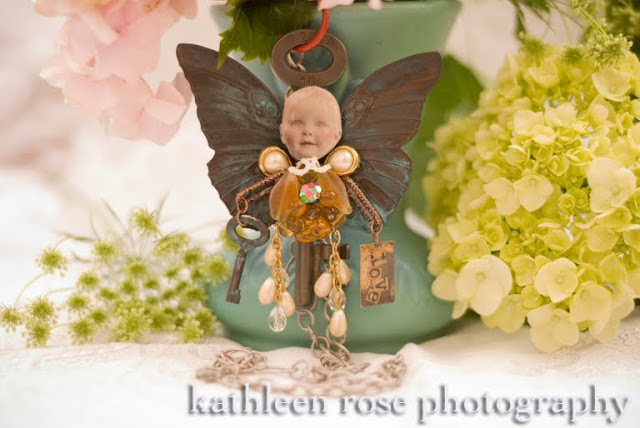 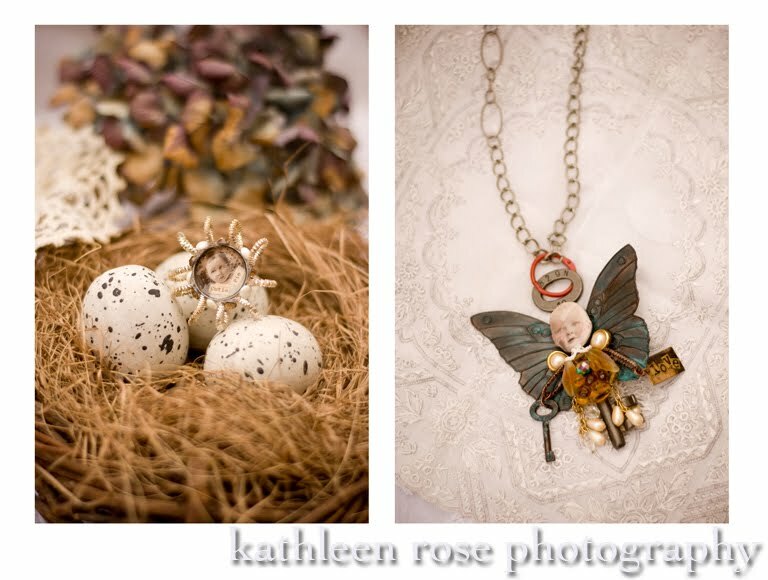 Kathleen Rose Photography Blog: Attention Brides | Check out this beautiful jewelry! 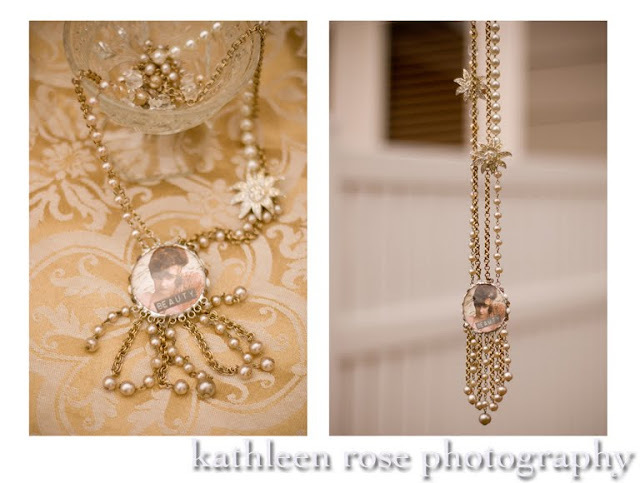 Attention Brides | Check out this beautiful jewelry! 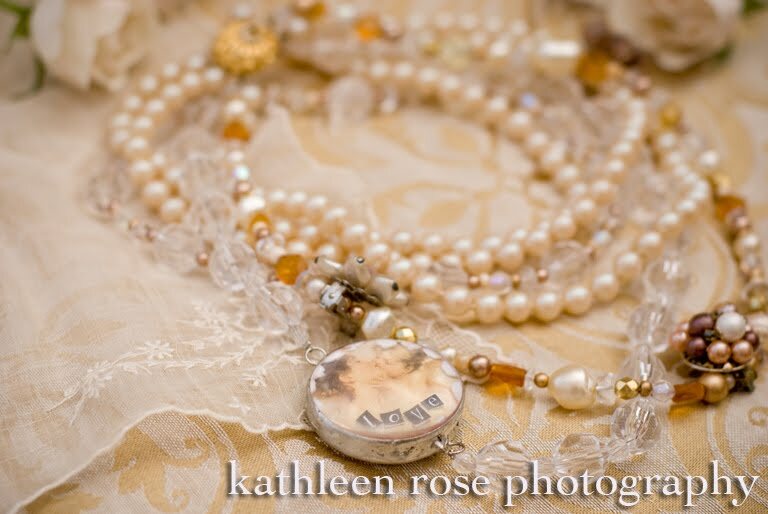 I wanted to show you a few pictures I took recently of these unique and beautiful pieces created by Marcy Kennedy of Sweet Pea Designs. 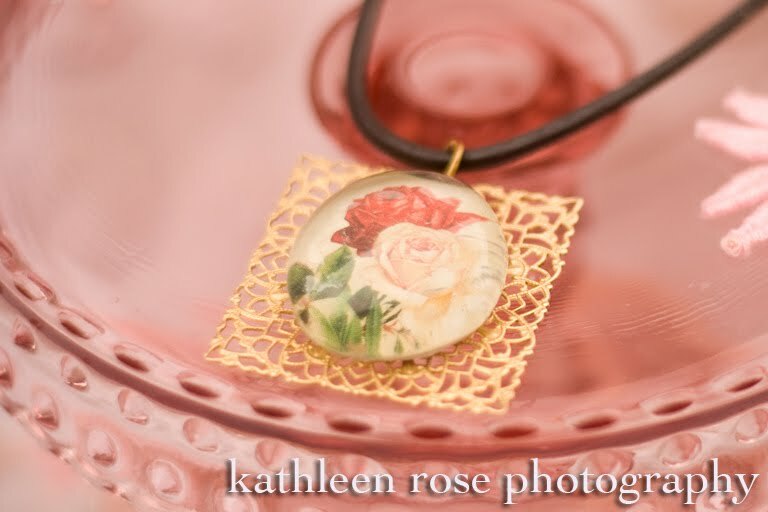 She uses a variety of materials and techniques to craft one-of-a kind accessories for those who appreciate vintage styling with a modern sensibility. I love that she incorporates old photographs and text into her pieces - I am delighted to have a couple of necklaces myself! 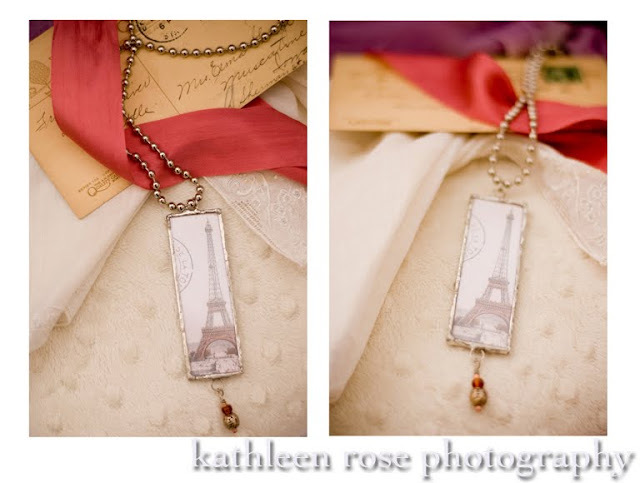 Email me for more information!